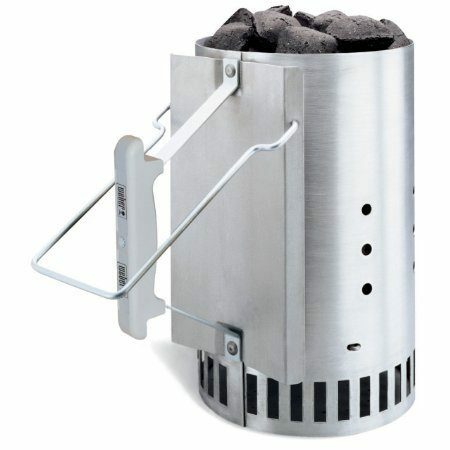 Weber Rapidfire Chimney Starter Only $14.99! You are here: Home / Great Deals / Amazon Deals / Weber Rapidfire Chimney Starter Only $14.99! I have spent years (it feels like!) trying to get my charcoal grill started! Unless I use lighter fluid, which adds a terrible taste to food, starting takes forever. Until this simple chimney starter! The Weber Rapidfire Chimney Starter is Only $14.99 from Amazon! The simple design of this chimney creates evenly lighted charcoal that will quickly produce embers perfect for grilling!